Rarely found with a mileage this low, this Mercedes Benz 500 SL stands out as a collectable icon that can still be enjoyed to provide spirited everyday driving. 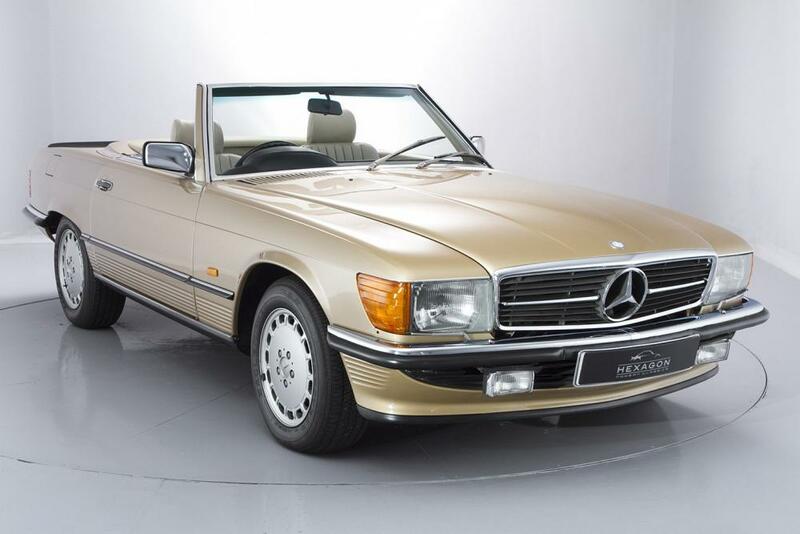 When Mercedes launched the R107 series SL in 1971, as a replacement for the previous SL of the 60’s, it was to become their second longest running production model of all time, remaining at the forefront of the Marque’s line-up until its eventual replacement in 1989.
a 4,973 cc engine that produced 240 HP and 402 Nm (296 lb/ft) of torque at just 3200 rpm! The 500 SL was published by Mercedes-Benz as having 0-60 mph times of 7.4 seconds for a top speed of 225 km/h (140 mph). This ultra-low mileage 500SL is presented in absolutely remarkable condition and is complete with original tools, handbooks, first aid kit and history file complete with historical MOT certificates and service invoices. The car is supplied fully prepared and comes with a comprehensive 12 month warranty and a new MOT certificate.